'SECONDS ARE ALWAYS NICE' said a guy I passed in Dunsop Valley who I saw a few evenings ago. Fourths aren't bad either. I've been up in Whitendale watching this amazing bird four days running now, including taking Alexander on one of the hikes up the valley. 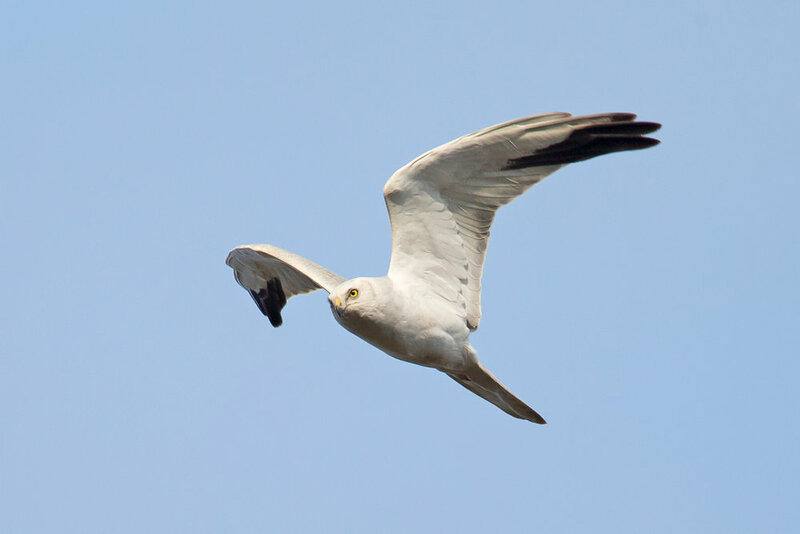 The harrier is becoming a local celebrity in the same way that the eagle owls did a few years ago and is attracting a steady stream of admirers. It has taken me a while to work out the best plan to get the shot I had in my mind's eye and this is almost it. A little less shadow on the underparts would have been ideal but I shouldn't complain when it has taken me around 17 hours over four days to get this far. Some of this was simply in poor light conditions and this evening the light was perfect low angle, 'golden hour' light. However, from time to time I still put the camera down and simply watched the bird's wonderful sky-dancing displays instead. Surprisingly a sound as well as sight experience when it's purring trill high overhead is sometimes the first sign that it has commenced its aerobatic display over the valley. It was great to see some old friends today too! Also in the valley today were Common Buzzard, Common Kestrel, Hen Harrier (briefly - Bowland's one and only this year), Merlin, Common Sandpiper, Short-eared Owl, Ring Ouzel (singing), Common Cuckoo, Common Stonechat, Northern Wheatear, Dipper and Grey Wagtail. Another day to remember in Bowland!